the nytpicker: Huh? 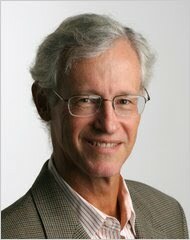 Arthur Brisbane, NYT's Public Editor, Uses Anonymous Source To Attack NYT's Use Of Secret Documents. Brisbane's weak showing as PE looks particularly bad because of the contrast with Hoyt, who in my view was by far the toughest and fairest person in the post thus far. Nytpickers have hidden their own identity. I wish the NYTPickers would come out of hiding already. But both the NYT and The NYTPicker have the same justification for their use of anonymity, that it's necessary to do their jobs right. I'm going to continue to read and respect both. Okrent was the best Public editor by far. If Ellsberg's name was kept anonymous as a source during the PP operation, the DSM manual would have looked grossly different today, and, its areas of emphasis would not correlate so superbly with the attempts to neutralize the former marine. With the way things are going these days, standard electroshock might make a comeback to shut up those who can't shut themselves up, like back in the good ol' days when nobody troubled us good hardworking folk with TMI. The ˌbräbdi ng ˈnagēən idiom, "I'd tell you but then I'd have to kill you" fits into this picture with metronomic relativity as another justification for the use of anonymity. Beyond that, there isn't much to say on this matter, but what little there is to say is best said behind the veil of anonymity, so as not to implicate the baggage of a name. "But, speaking on the condition of anonymity because they did not want to engage in a public dialogue on the matter when they were so focused on Election Day, strategists for Mr. Obama said..."
Regarding the New York Times' "inoculation": I think that was probably in reference to the fact that, in the print edition, the story on the leak and Burns's piece on Assange appeared side by side on the front page. It left the impression that the Times, while accepting the leaked information, had not abdicated its responsibility as a news organization to treat even whistle-blowers with skepticism. As I say, I think that was the intention--but, contra the NYTPicker, it suggested to me that the Times was contradicting itself: that it treated the leak as a serious, and legitimate, news item, but that the organization that provided it was entirely suspect. Of course, if the latter was the overwhelming feeling in the newsroom, why publish the information at all? Elainasaunt: ..."[Clark] Hoyt, who in my view was by far the toughest and fairest person in the post thus far." Perhaps. But he was still the idiot who went all-in on the O'Keefe/Brietbart bogus ACORN videos, apologizing that the NYT was a week late on that great, great rightwing story, and was caught lying through his teeth in an email he wrote defending the Time's awful work on that story. so it's David Bloom? of Blooms in the News?